A Separation won the 2012 Academy Award for Best Foreign Language film, the first film from Iran to ever do so; in a time when Iran is in the news because of nuclear threats it's making to its neighbors, why would the Academy award a country with such a prestigious honor? 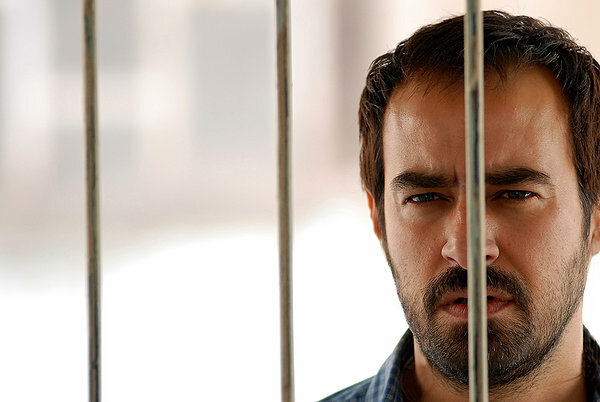 Because A Separation blames America for all the ills and woes Iran is facing and director Asghar Farhadi does that with the traditional tool of art: symbols and conflict. By weaving a long, complicated web of blame, punishment and responsibility, the real culprit of the film is revealed: freedom. If people, especially women, didn't have so much freedom, then men wouldn't have so many problems; if all Muslims just followed the Koran better, the film tells us, everything would be fine. So why exactly does A Separation hate America so much? A Separation is really a play on our perceptions. 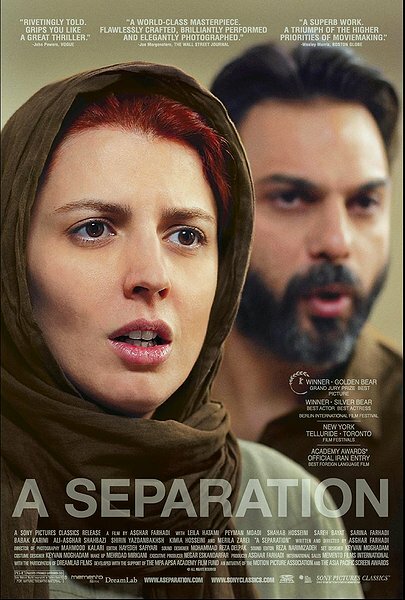 When words are used to limit quantity, in this case, "a," we look for only one separation, the separation of Simin (Leila Hatami) from her husband Nader (Peyman Moadi) when in fact, the film is full of "separations," the most important being, the separation of the future from the past. Because there are so many separations within the structure of the film, separation permits the small lies, the fissures, the problems to creep in which propel the story and, ultimately, let it get out of control. The opening scene of the film: in court, before a judge we never see, Simin pleads her case for wanting a divorce from her husband, Nader. They had planned on leaving the country and "making a better life" for themselves and their only daughter, Termah (the director's daughter who plays the part expertly) but the illness of the grandfather means that Nader wants to stay in the country and take care of him. Nader is willing to let Simin go, but she won't without Termeh and Termeh has decided to stay with her father, knowing her mother won't leave if she doesn't go with her. Simin goes to stay at her parents' house so Nader hires Razieh (Sareh Bayat) who is pregnant and has a little girl, to come during the day and look after his father. Termeh and Nader both blame Simin for what has happened, because if she hadn't left them, they wouldn't have had to hire Razieh. It's not a political singularity, there is often a "brain drain" when people leave their home country to find a better life, and the void left behind by those who have left can cause terrible situations in the home. When Razieh, the hired housekeeper, crosses the street to get Grandfather, she gets hit by a car; even though we don't see this happening, we know that the future (the miscarried baby) has been sacrificed to preserve the past (Grandfather). Additionally what is important, is the lie told about how the child was lost: Razieh claims Nader hit her and the hit caused her miscarriage, because she keeps the car hitting her a secret until the very end. What does the vehicle hitting her symbolize? 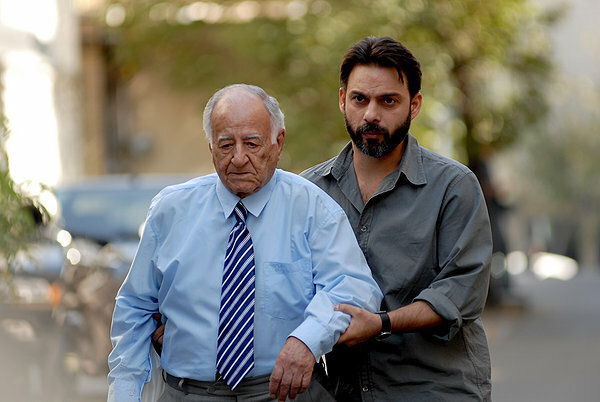 Nader and his father who has Alzheimer's. Simin, during their divorce trial, tells the judge that Grandfather doesn't even know Nader is his son, and Nader replies, "But I know he is my father," and that is a admirable position, but that's how history works: history does not know the future that it will beget, it only knows itself, but we know the past from which we came (I personally lost a wonderful aunt to Alzheimer's and took care of a friend's husband who had the disease while she would take a break; it's a heartbreaking condition, but this isn't about the reality of the illness, rather, the film is using Alzheimer's to make an artistic point). The Grandfather's condition is quite sad, as he barely speaks and wets himself, hardly being capable of doing anything. 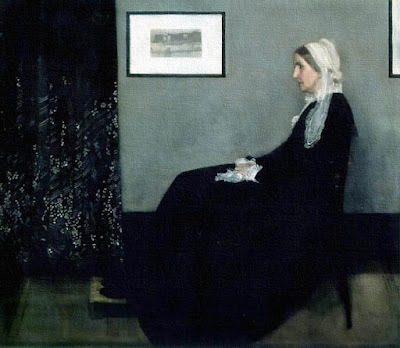 But this is one of the dichotomies the film establishes: clean and dirty, speaking and silence, truth and lies, being married or being divorced, honor and dishonor. Iran, while a republic and based on a constitution, also holds the government responsible for assuring that all its citizens have jobs and that their essential needs are provided for (socialism). Razieh's husband, Hodjat, does not know she took the job at Nader's (and tradition in the country says she should have told him about it but she didn't). Hodjat had been employed with a cobbler for ten years and then they fired him and told him to "just try and get justice" and he couldn't, so he was going to go and take care of Grandfather (Razieh didn't tell him she had been doing it, only that it was a job opening) but the day Hodjat was supposed to show up to start, Hodjat's creditors showed up and took him off to prison. We could say that the Iranian government's inability to live up to its promise of making sure the people have jobs is the vehicle causing Razieh's miscarriage because she wouldn't have been on the street if she wasn't working and she was working because her husband didn't have a job. But that's not where the film lays the blame for the tragedy of the lost child. Razieh's husband, Hodjat. A "debt" is always a symbol of sin: we owe something intangible, but the narrative makes it tangible so it can be commented upon. The debt which Hodjat owes to his creditors signifies the debt every Iranian man owes to his family,... and never pays. Nader is ordered to pay "blood money" to Hodjat for "hitting" Razieh and causing her miscarriage; when Nader is about to write the check, and Hodjat's creditors are there, because then the money has to pay them, Nader looks at Razieh and asks her, upon the Koran, if she truly believes that when he pushed her for mistreating his father, that caused her to lose her baby,... and Razieh can't do it because Razieh knows it was probably the car that hit her which caused the loss of the baby. This is an incredibly complicated "justification" of the abuse allowed by the Koran, the law of the Koran by which Muslims live being introduced into the film. Hodjat can't pay his debt, symbolizing that what Hodjat has done in the past, will have to be paid for by the future generations (the miscarried baby); neither Nader nor Hodjat are likeable characters. There are moments when you feel badly for them because of circumstances, yet you don't like them, ever, which means, the film maker doesn't like them either, and doesn't find redeeming qualities in either one. So what's the point? In spite of how bad and unlikeable and at fault both of these men are, especially in their actions towards women, the problem Iranian, Muslim pose in Iran and the world isn't the problem with Iran or with Islam; it's technology. It's the car that killed the baby, not the angry, self-righteous Muslim man. With all the situational conflicts in the film, it comes down to this: if America weren't so much more prosperous, and people in Iran didn't have cars, then Razieh's baby would have lived, because Simin wouldn't have left to find a "better life," there would not have been a better life to go to and they would not have known about the luxury of having cars because no one would have had cars so the baby would have lived. Ultimately, the blame of all the ill in the film is because of America, prosperity and technology (one might even add the freedom American women have, because Simin is obviously more "liberated" then Razieh and Razieh's desire to leave her husband is largely the catalyst of the film's tragic events). So, regardless of what Iranian Muslim men do, it's all America's fault, and we can see the liberals in Hollywood supporting a foreign, socialist government that hates America as much as they do. We can also say that, if things were better in Iran, Simin wouldn't have wanted to leave so desperately, and she would have stayed in her home and taken care of Grandfather, instead of trying to leave and pass on the responsibility to someone else. During the opening scenes of the film, the divorce trial, the judge wants to know why Simin wants to leave the country but doesn't seem at all surprised that Simin wants to look for "a better life" (which was the title of another Oscar nominated film from Mexico this year). An interesting note about Iran: it's considered to be one of the 10 best places in the world for tourists, primarily because of all its history, but it's ranked 89th in the world because of public image and regional conflicts making it unsafe for tourists. Razieh and her little girl Somayeh. Part of the conflict in the film is whether or not Nader knew she was pregnant. He claims that because she was wearing the chador all the time, he could not have known she was 4-5 months pregnant but Razieh claims he had to have known because he had to have overheard her discussing it. It's likely Nader did know she was pregnant, but he doesn't want to be held accountable for his lie, however, at the end, when he asks her to swear on the Koran that he was the cause of her miscarriage, and she can't do it, Nader wants her to be held accountable to justice, and Nader gets away with it. Nader isn't blamed for anything. This doesn't mean that Nader hasn't sinned, but the Koran is only going to be harsh on the women, not upon the men. There is the civil law to deal with Hodjat and his debt, but spiritually, Nader is exempt from punishment. In conclusion, we can say A Separation is about the Iranian government separating itself from the promises it makes to its citizens in the Iranian Constitution; the government's inability to provide for its people as it has said it would is like the dementia of Grandfather, because when Grandfather should be in the house, he's out on the street instead; when the Iranian government should be in "The House Of Islam," taking care of its problems within its own country, it's outside its borders, worrying itself about its neighbors (like America and Israel) instead, and this is why the Academy awarded A Separation the Oscar: the Iranian government, the Muslim men and the Koran allowing men to beat women are all absolved of any guilt in spite of their crimes; America, freedom and technology, however, are the culprits, the murderers of their cultural identity and the source of their problems. It's a very intense film so if you have the chance to view it, you might not like it, but it will be a great education in storytelling and dramatic build-up. Nader and his only child, Termeh, it's not just the wall that divides them, but the truth. A controversy of the film is Simin gets her divorce in the end, but Termeh has to decide which of her parents she will stay with: stay with her father or go abroad with her mother. The judge asks Nader and Simin to step outside so Termeh can tell him her decision, and they do so, sitting separately outside, and the film ends, not letting us know what Termeh's decision was. The point is, it doesn't matter which parent she goes with; she will always be separated from the other, from a part of her identity. 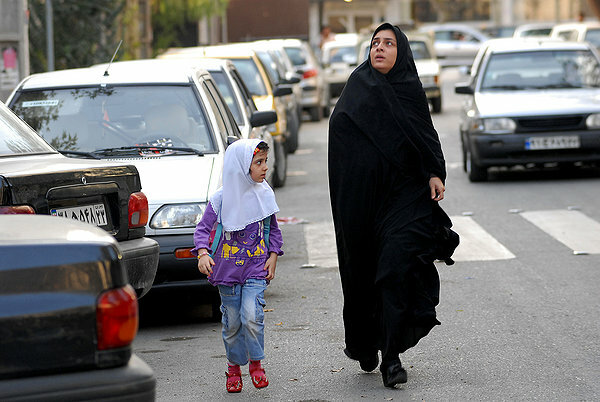 That is the dilemma of Iran today: like Termeh, it can try and make a better life for itself, being separated from the past, or it can hold onto its past and risk foregoing a better life; she can hold onto her religion, or embrace technology and modern life and not be a proper Muslim woman. It's likely she stayed with her father.